The literary genres of the book of Revelation are an Apocalypse, a Prophecy, and an Epistle (or Letter). The Disciple/Apostle John, who followed Jesus Christ and witnessed His crucifixion, authored it. John wrote Revelation while a prisoner on the Island of Patmos, approximately 85-95 A.D. Its purpose is to give encouragement and hope for all Christians to continue watching for the return and triumph of the Lord Jesus Christ. It also is to warn of the Final Judgment that nonbelievers will endure on that Last Day. John wrote that Revelation is special because, “Blessed is he who reads and those who hear the words of the prophecy, and heed the things which are written in it; for the time is near” (1:3). 11th January 2015. Revelation is a book that is meant to be understood. 18th January 2015. Becky covers the letters to the churches of Ephesus, Sardis and Laodicea. 1st February 2015. Rebecca covers the letters to the churches of Smyrna, Pergamum, Thyatira and Philadelphia. 8th February 2015. Barry looks at the significance of worship across these chapters. 15th February 2015. 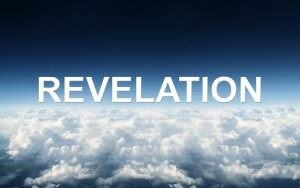 Les talks to us about the coming Tribulation. Download: Seals, Trumpets and Bowls. 22nd February 2015. Revelation Chapter 19. 1st March 2015. Chapter 20 talks of the millennial reign of Christ but our focus is the Great White Throne and judgement. 8th March 2015. A new Heaven and a new Earth. God restores His people back to Himself.